Our aim, along with being dedicated to the conservation of endangered species and the welfare of our animals, is to provide education, recreation and enjoyment to the public. 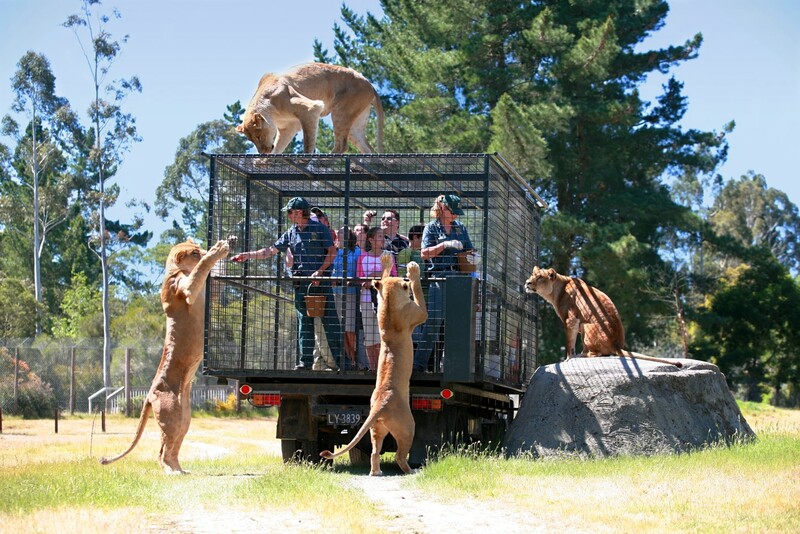 Experience the ultimate animal adventure at Christchurch's Orana Wildlife Park, New Zealand's only open-range zoo. See New Zealand's only gorillas! The Park specialises in getting you up close and personal with the animals, visitors can hand-feed giraffe, meet massive rhinos 'face-to-face', observe kiwi and stroll through native bird aviaries for close encounters with NZ forest birds and the kea, the world's only mountain parrot. Thrillseekers can experience the awesome Lion Encounter, which takes people through the African lion habitat for an extremely close view of the 'King of Beasts' (contact us for conditions, additional cost to park entrance). Enjoy the antics of cheetah, Tasmanian devils, monkeys, meerkats, otters and more. An extensive New Zealand native collection enables visitors to observe kiwi, New Zealand's national icon and a wide range of endemic native birds such as tui, bellbird, kereru, kakariki and kea. Park visitors can view a range of native reptiles including the tuatara, an ancient relic of the dinosaur era. Orana has one of the most comprehensive public collections of native geckos on display. The farmyard area gives visitors the chance to interact with a wide range of friendly domestic animals. Orana is internationally respected for its involvement in native and exotic captive breeding programmes. A café is located on site and a fantastic gift shop has a wide range of products for sale. Guided tours operate daily. Open 7 days, 10am-5pm (closed Christmas Day). Located 10 minutes from Christchurch Airport. There is something to entertain people of all ages for the entire day at Orana Wildlife Park..
Our aim, along with being dedicated to the conservation of endangered species and the welfare of our animals, is to provide education, recreation and enjoyment . . . More . . .